Two superintendents are returning to familiar geographic territory while a third finds his assignment as being very compatible to his ministry, as Bishop Gregory V. Palmer has announced the appointment of three superintendents to the IGRC Cabinet, effective July 1. Revs. Leah Pogemiller, C. Douglas Rorex and Roger Russell will assume superintending responsibilities in the Vermilion, LaMoine and Cache River districts respectively. Pogemiller will succeed the Rev. J. Keith Zimmerman, who has announced his retirement. Rorex will follow Rev. Randall Robinson, who has been appointed to Danville St. James UMC; and Russell will succeed Rev. J. Gregory Courtright. Currently, Courtright's new appointment has not been announced. The appointments were announced from the pulpits at Clinton, Fairfield First and Canton Wesley UMC's during morning worship Feb. 27. "I am delighted in what Leah, Doug and Roger will bring to the ministry of superintending," Palmer said. "They are all deeply grounded disciples of Jesus Christ. They are committed to helping congregations and pastors grow in effectiveness in the primary mission of making disciples of Jesus Christ for the transformation of the world." Palmer said the three will "align excellently with the uniqueness of the specific districts to which they will be assigned, and they will enrich the ministry and life of the Cabinet, the conference and the connection." For Pogemiller, superintending in one of the conference’s most northern districts is not unfamiliar territory as most of her formative years were spent in the Chicago suburb of Joliet and has been a part of that district serving two of her appointments in the past 27 years. "I am humbled by the invitation to be a part of the Cabinet," Pogemiller said. "I am looking forward to listening to the congregations in the Vermilion River District as we, together, discern God's direction for the district." A graduate of Joliet Junior College and the University of Illinois, Pogemiller is a 1985 graduate of Boston University School of Theology. Raised as a United Methodist and active from childhood, Pogemiller’s call to ministry came while at the University of Illinois. Planning to be a short-term medical missionary following her time at the U of I, Pogemiller said her call began to intensify during her sophomore year in the fall of 1979. Within a year, with the guidance of pastors E. Paul Unger and A. Donald Sorenson, Jr. -- her pastors at Urbana Wesley UMC – Pogemiller began the formal process toward ordination. 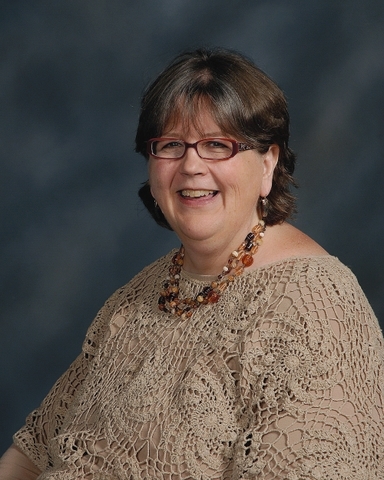 She was ordained in full connection in 1987, and has served pastorates at Verona-Mazon, associate pastor at Monticello UMC, Kankakee Asbury and Clinton, where she is completing her seventh year. Rorex said that his hope as a superintendent is to be able to be a pastor to the pastor and churches of the LaMoine River District. While the LaMoine River District is in a different part of the conference than he has served pastorates, Rorex believes the district is very compatible with the settings of ministry he has had for the past 30 years. He also noted that the team concept has also been helpful in overcoming the feeling of being overwhelmed by the new appointment. Rorex received his theological education from a consortium of theological schools including Southern Baptist Theological Seminary and Louisville Presbyterian Seminary. 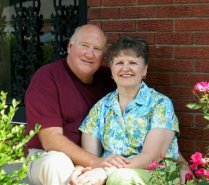 Ordained in the American Baptist Church, Rorex served pastorates in New Albany, Ind., and as an associate pastor at First Baptist Church in Murphysboro. In 1980, Rorex was appointed to the Grayville UMC, where he served for 14 years, assisting the Presbyterian Church by serving communion and sharing worship services, taking part in community theatre and serving as a substitute school bus driver and an emergency medical technician for the Grayville and Carmi Emergency Medical Services departments. Other pastorates include Olney St. Paul-Chauncey and Fairfield First, where he has served since 1998. Rorex enjoys hiking and scuba diving and has made 19 trips to Bonaire in the Netherland Antilles. He also enjoys biking having used a bike for parish visits and exercise for years. Rorex and his wife Jane have been married for 37 years. She has been involved in music education for more than 25 years. 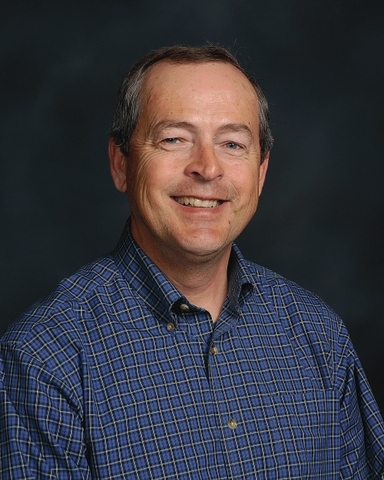 Roger Russell returns to Southern Illinois as the new Cache River District superintendent in a ministry with several appointments in the region. Russell said he sees his role of superintendent as being proactive in helping to foster growth as well as the management and maintenance responsibilities that are also essential. Raised in the Granite City area, Russell is a graduate of McKendree College and Asbury Theological Seminary. He has pastored the following churches: St. Jacob, the Mayfield Charge, Mayfield, Ga.; associate at Belleville St. Matthew; Sardis UMC, Nancy, Ky.; Zeigler-Royalton; Fairfield Ellen Moore UMC; Caseyville; Centralia Demaree-Gilead; Pawnee; associate at Marion Aldersgate, and for the past four years, Canton Wesley UMC. Russell and his wife Carol are the parents of three grown children and the Russells have eight grandchildren. He considers his wife a full partner in ministry, including the superintendency.